I'm so grateful for you, my readers! 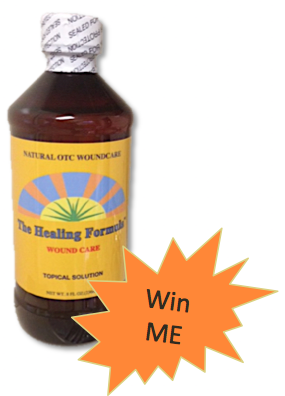 So as a way of saying thank you, I spoke with one of our partners, Martin Morisett of The Healing Formula, and he agreed to have his product be the first giveaway here on Healthy Now and Later. 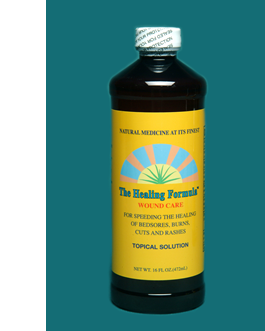 The Healing Formula is not only for pressure ulcers, but also for diabetic ulcer, MRSA infected ulcers, cuts, rashes, burns, and bleeding gums. At the insistence of her employers, she took her idea to an invention marketing company. Her son, Martin Morisett, soon got involved with the business and in 1998 The Healing Formula became mass produced. The rest is, as they say, is history. How it works is by oxygenating the area, stopping infection, reducing pain while promoting healing. The appealing features are its effectiveness at promoting healing and the speed at which it works. This is because it's ingredients are a combination of Certified Organic Aloe Vera, Hydrogen Peroxide and Irish Moss. There are well over 6,000 peer published documents on the ingredients in this formula with not one adverse reaction reported when used properly.